Todolwen: It Is Here! 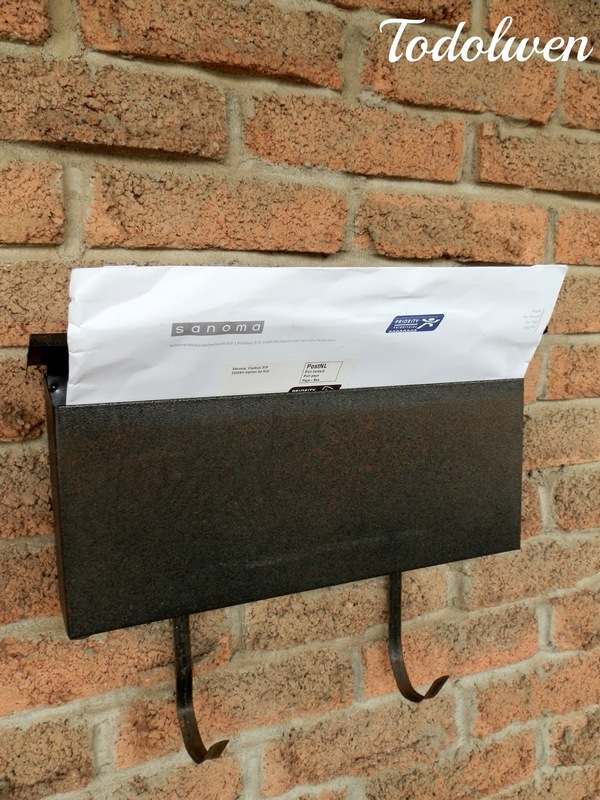 ..
my mail box is making so such 'music' these day. 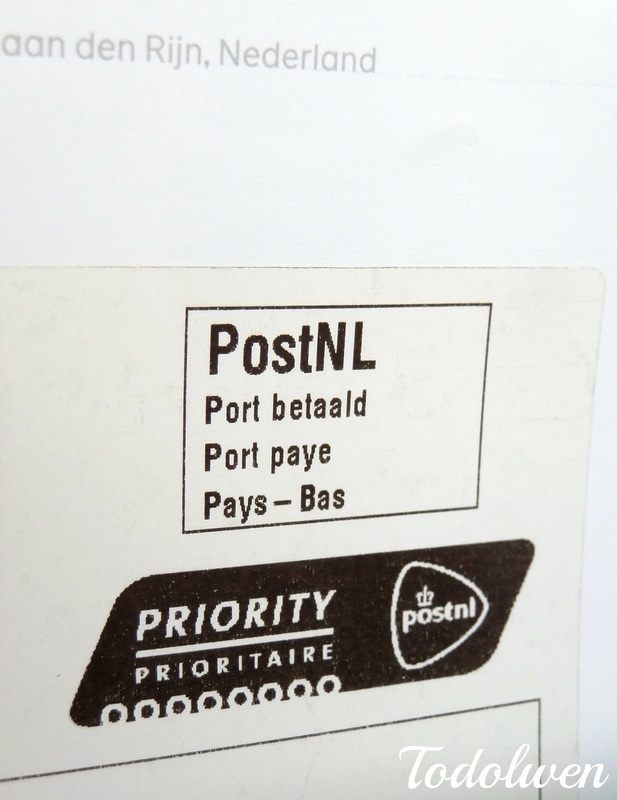 Finally it is here ... my mail from the Netherlands has arrived! What is it?! .. 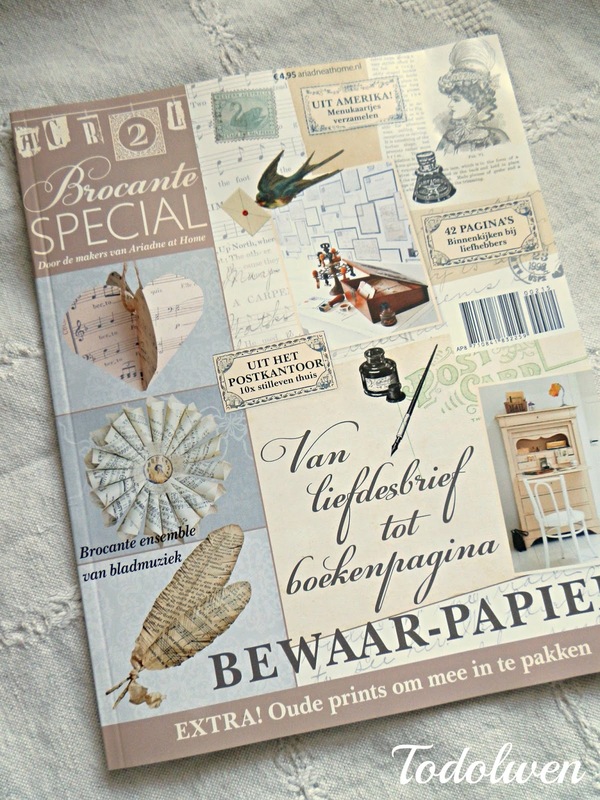 The magazine 'Brocante Special' that featured my little hymn page feather and I am so excited about it! 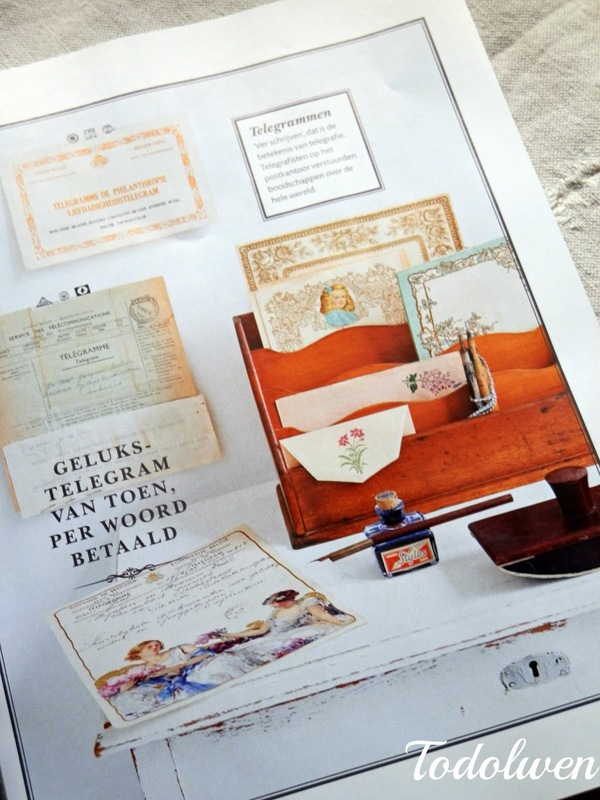 It is a really lovely magazine with a lot of inspiration on how to decorate your home with vintage pieces and ideas on how to be creative. 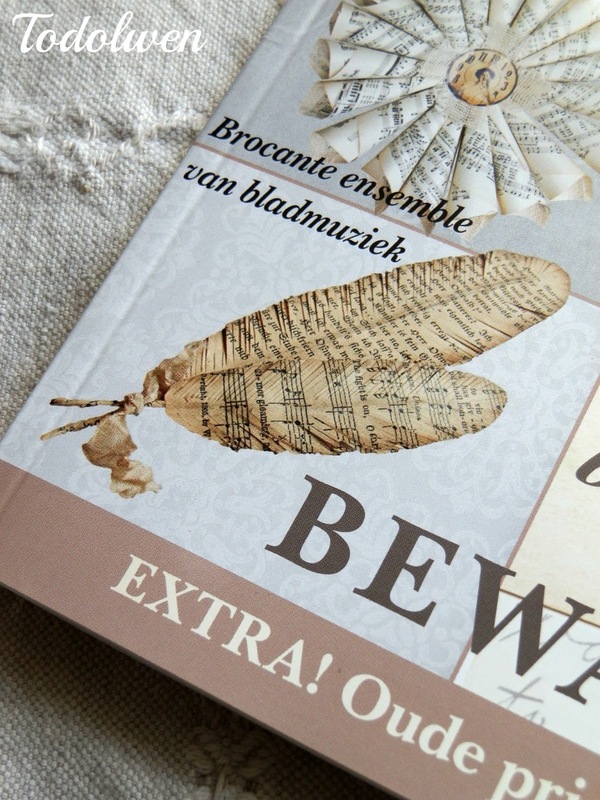 ... and my little feather on the cover. 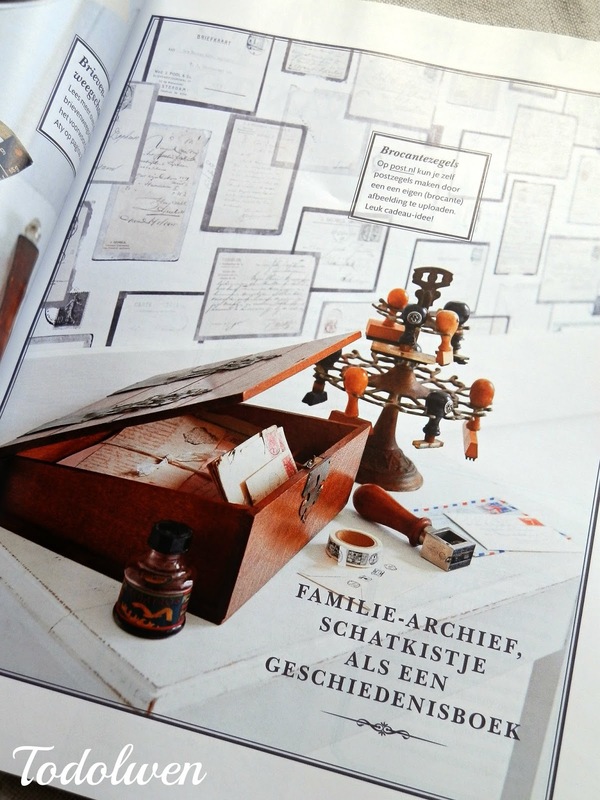 Here are a few photos to show you some of the lovely things featured in the magazine. Doesn't everything just look so beautiful?! And is so much more to see. 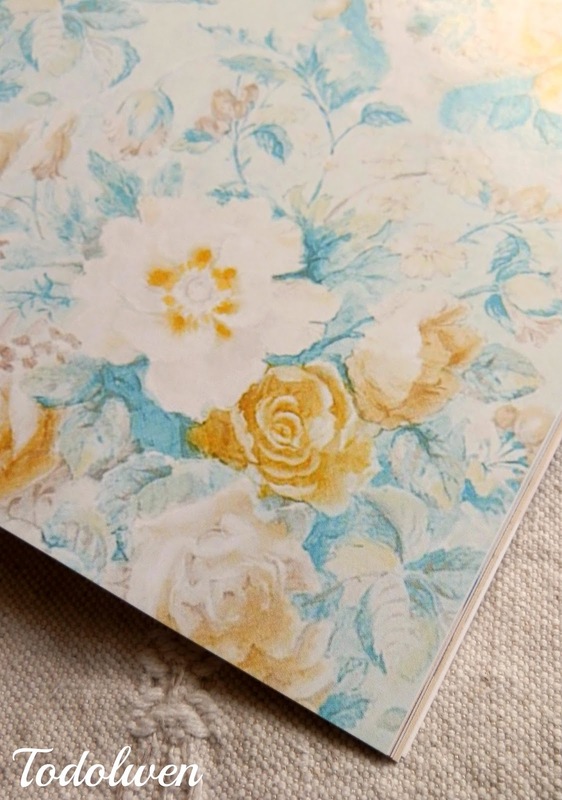 You even get some lovely paper to create with. I think it says "Feathers telling stories" ~ so true. The article about my little feather was petite and so neat and I am beyond happy about being published in such a lovely magazine! 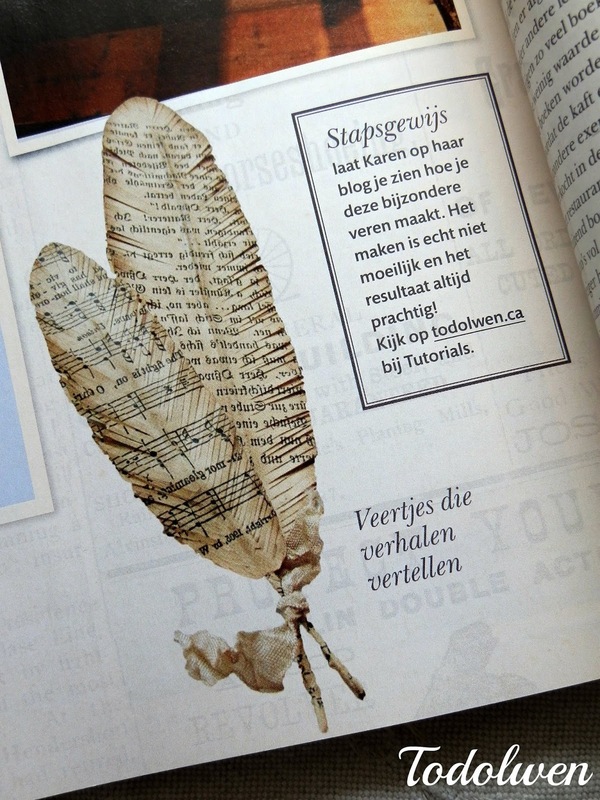 For those of you that are new to my blog, you can find the tutorial to my hymn page feather here. A huge 'thank you' to all of you, my followers for making me work hard and for making me want to be more creative. Congratulations on getting your beautiful feathers in such a wonderful magazine! I hope you are able to translate the text! 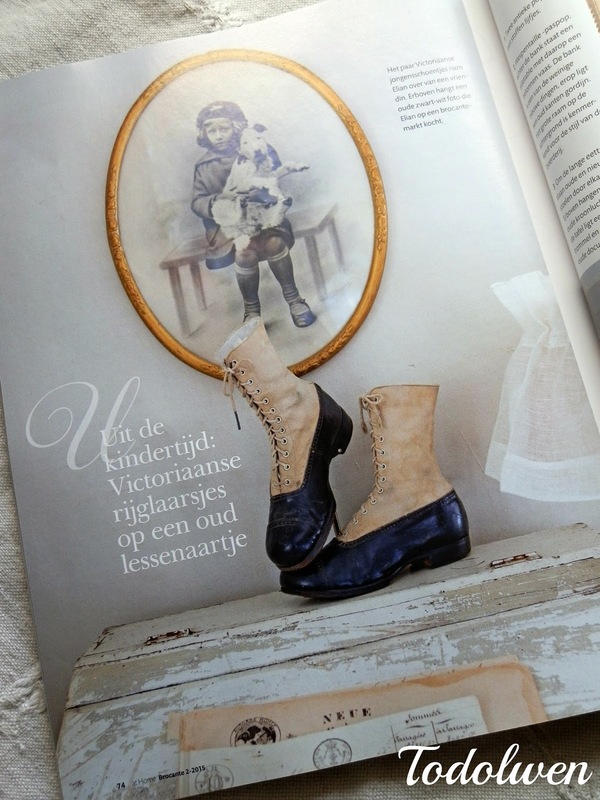 So exciting to see your creations in a book! Congrats and much creative love to you! I am so happy for you Karen! What a great honor to be published! The Dutch know about good design! Congratulations!!!!!!!!!!!!!!!!! What an honor - you must be over-the-top excited. I know I would be. Enjoy the good feelings I'm sure you must have. Wonderful! 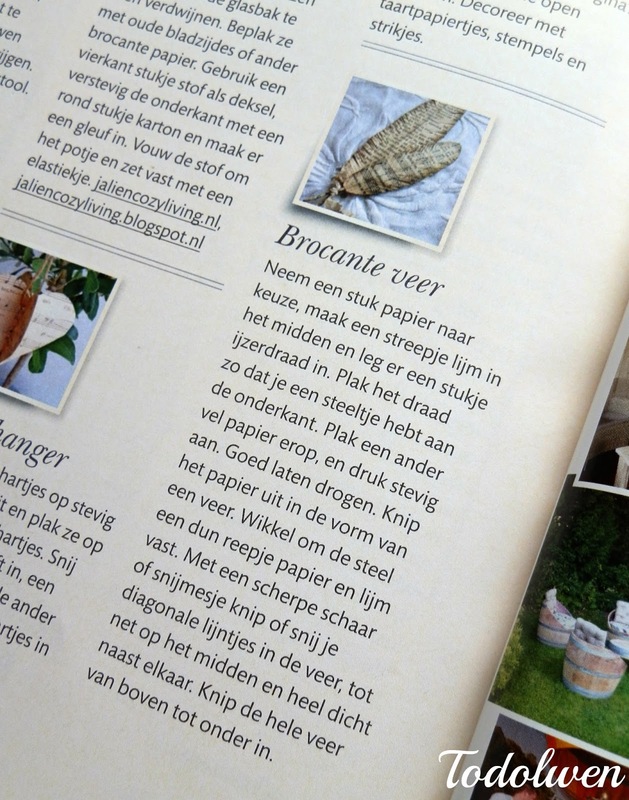 What a lovely magazine, and how very exciting to have your beautiful feathers featured, You are especially gifted Karen.